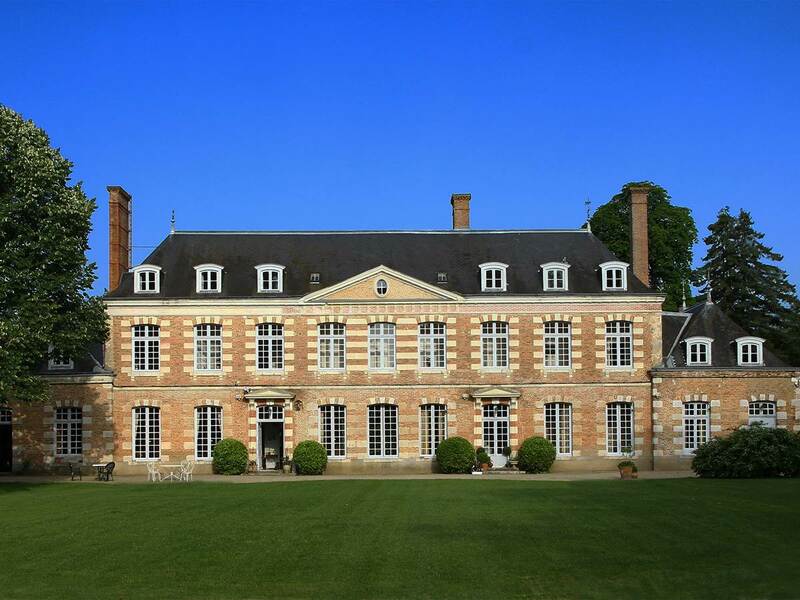 A family property since the fifteenth century, the Château des Ormes and Castle Giraudière whose present layout dates from the late eighteenth century welcomes its guests in a setting of charm and nature. The comfort of understated elegance, the atmosphere of serenity and warm hospitality of its owners delicately accompany your stay. Next to the Castle, Lower Court,dating from the 1650s is a set of dependencies where you can find antique wine press that is worth trying. The bricks manufactured on site in the past Montecloche furnace are for some signed and the image of local style prevalent in Sologne. The park is richly wooded. The old trees often recall the years of the early nineteenth century, where the redwoods from America mingled with plane trees, oaks and chestnut trees.